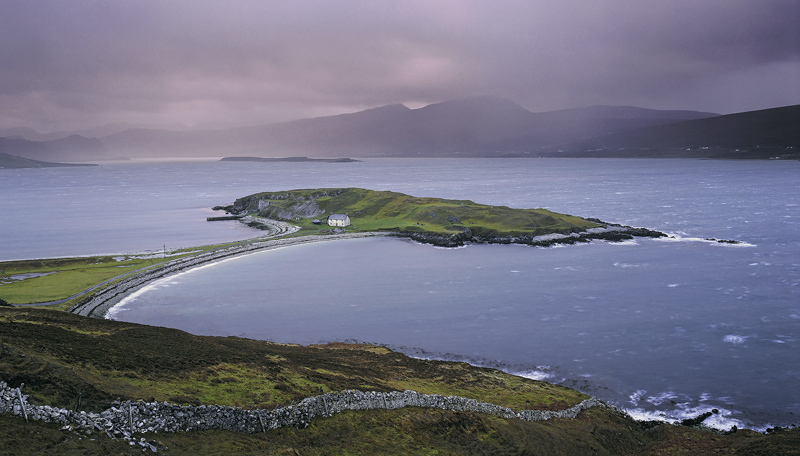 Loch Eribol is a vast salt water loch that happens to contain one very unusual feature. A tombolo is a spit of land connected by two crescent shaped opposing beaches that opens out into a hammer head of land. This one can be viewed from above but on the day I was there it was blowing with such force that I was barely able to stand up. It did however give rise to some dramatic weather and unusual lighting.